When I moved back to the area and first started riding Parbold Hill was my nemesis. Not knowing if cycling was for me I bought a road bike off eBay for £90, knowing little about bikes except “wanting one that didn't have gears on the bike frame” I picked up a heavy aluminium ex-halfords bike with a Sora double chain set and set off on the local roads. 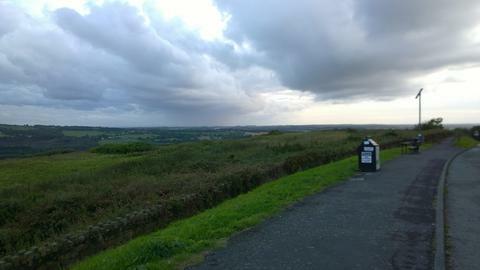 I knew of Parbold Hill and tried my luck. After lots of panting and puffing I got to the church and then faced the ignominy of getting off and walking the rest of the way. However not one to be put off, the following weekend I tried again, got to the church and got off, a cyclist flying the down the descent shouted for me to get back on, I did and almost fell off, then some guy came past me barely out of breath telling me it would easier next time. It is safe to say I hated Parbold Hill, and it became my nemesis. However for reasons known only to us cyclists I kept going back and after half a dozen attempts I managed it. I felt like I was going to have heart failure and stopping at the top in front of the gasto pub, diners looked on probably thinking the same! 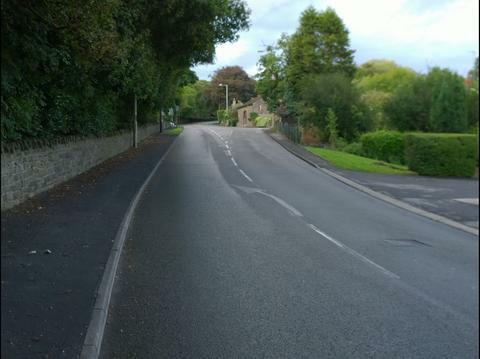 This climb is rarely climbed by the club given that ascends on one of the busiest roads in the area, especially as HGV's use it as a quick way to get to the M6, however it a great climb to try on your own and on a clear day the views looking over Merseyside to North Wales are spectacular. As per #hill1 and #hill2 leave Ormskirk and head to Parbold, however instead of turning left off the main road (A5209) carry on until you reach a set of traffic lights restricting traffic flow over a narrow bridge. Through the lights and over the bridge and the road starts a gentle gradient upwards and so the the climb begins. Initially the climb starts gently, in fact for the first few hundred metres you probably wont have to change gear, you will pass a garage on your right and then pass Lancaster Lane after this the gradient increases to around 6% and you will be reaching for a slightly easier gear. The road then bend around to the right and you will have the respite of a false flat, those pushing for a PB on Strava can push on here, otherwise it is the chance to let some of the lactic in your legs dissipate before the tough stuff starts. 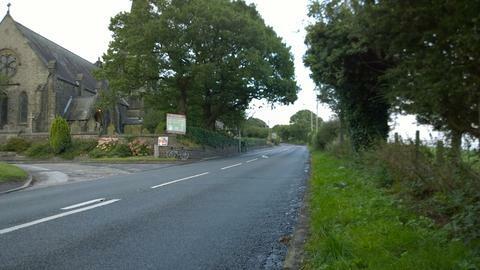 The road bends to the left and the gradient noticeably pitches upwards to around 8/9% as you pass a church. Ahead the road snakes to the left hiding the toughest part of the climb, as an example of how little the club climb Parbold my fellow blogger Simon Saunders ascended this on a rare A group sortie over the hill a few weeks ago. Not knowing the climb he thought the worst of the climb was over, jumped out of the saddle and past a group of us who knew better, only to tie up before the summit and allow a good part of the group to over take him. As soon as you pass the church you then hit the tough last slog, the bit that in my early attempts years ago made me climb off the bike and push. At around 14% Parbold Hill hasn't finished with you yet, out of the saddle for a final push or diesel around the bend to the left. The gradient drops but the climb isn't over yet, 200m to go with a false flat and a final little lump that if your legs have anything left then get out of the saddle and power to the top where the aforementioned eatery and amazing views can be found. The Strava segment can be found here - at the time of writing current hill climbing champ Tom Hanlon holds the record for a regular HMCC rider, he has been pipped by Martyn Gordon and Peter Gaskell on the Strava standings. 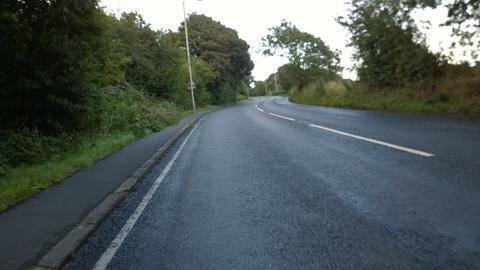 Parbold is a great hill to climb as long as you avoid busy times for traffic. Ashurst Beacon was my first hill, I don't think you forget the first. NIce to be name checked- not sure I like the reason! It was a nice climb and it was my lack of knowledge about the last bit which was my undoing - i'll know better next time!